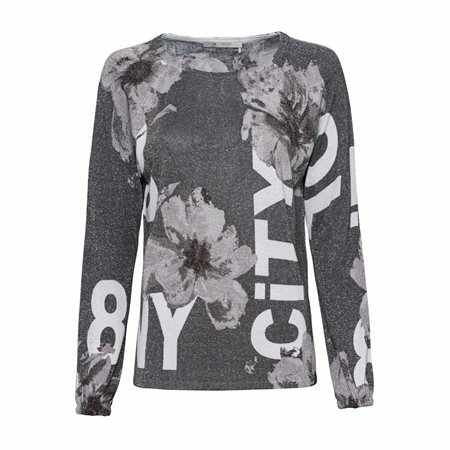 A slogan top alongside floral print in various tones of grey is exactly what we want this season. We love how lightweight this top is as well as its elasticated cuffs helping you feel comfortable throughout the day. This top has been finished with a wide rounded neckline and a metallic shimmer throughout.